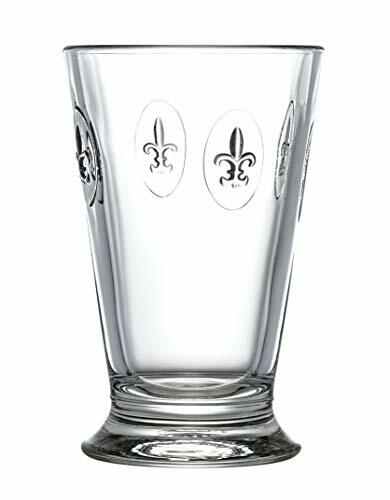 La Rochere’s “Fleur De Lys” Glassware is sturdy and perfect for everyday use. Classic in design, our Double Old Fashion Glasses are both casual and elegant and will compliment any table. A stylish and simple glass to serve your cocktails, ice tea or Iced Tea. Easy to clean our glassware is dishwasher safe. La Rochere drinkware has a stable base and is easy to hold making it perfect for family and guests of all ages. Steeped in tradition La Rochere is the oldest working art glassworks factory in France. La Rochere’s pieces are fired at a very high temperatures producing an exceptional quality glass that is both crystal clear and durable. A pressure seam is sometimes visible, which is the mark left by opening the mould in which the glass is pressed. It is the characteristic of pressed machine glass and symbolizes its heritage and makes each item a true piece of French glass history.